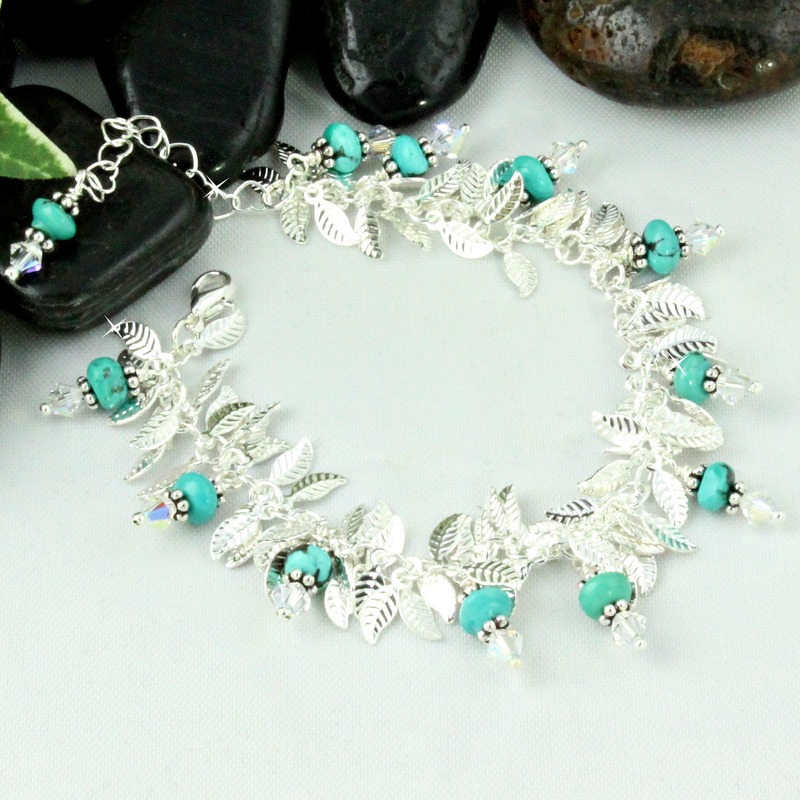 For a Southwestern feel, this Turquoise bracelet is the ticket! Each piece of turquoise maintains its marbling and individuality and creates a treasure like no other. Austrian crystals provide a little bit of sparkle set amongst the silver leaves. A great addition to your jewelry collection that can be used for all seasons!